The missionaries stopped by that to introduce a new missionary. He’s a remarkable guy with a great spirit. 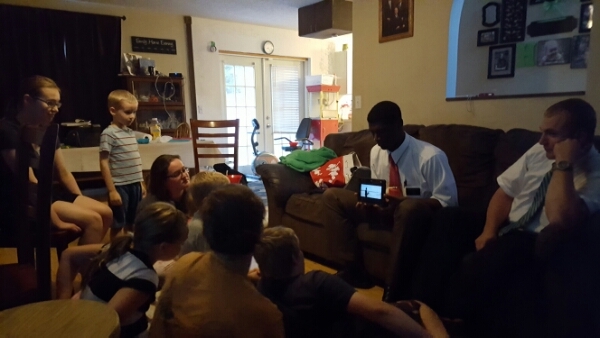 The kids enjoyed gathering and listening to him talk about Christ.